The Mirage car is manufactured by Japan automobile manufacturer Mitsubishi. The Mitsubishi Mirage is the most fuel-efficient non-hybrid car in America. It gives yearly fuel savings of an average $211. It is run by 1.2 L MIVEC, 12 valves Inline 3-cylinder type of engine. It produces 78 hp of horsepower at 6000 rpm and a torque of 74 lb-ft at 4000 rpm. The company has installed ventilated disc brakes for the front and the drum brakes for the rear wheels. The Mitsubishi Mirage comes in a total of 4 types of models. The Honda Fit is a car by Japan multinational conglomerate corporation and the world’s largest manufacturer of 2 wheeled Honda. This car has won the 2018 Car Driver and Editor’s choice award. The car is a perfect blend of modern sports styling, fuel efficiency and aerodynamic efficiency. Its safety and driver assistance technologies include Collision Mitigation Braking System (CMBS), Road Departure Mitigation System (RDMS), Adaptive Cruise Control (ACC), and Lane Keeping Assist System (LKAS). On the highways, it gives gas mileage of as much as 40 mpg (miles per gallon). It has Inline 4-cylinder, 1,498 cc displacement, 130 hp at 6600 rpm and a torque of 114 lb-ft at 4600 rpm. The new Honda Civic is a car by Japan automobile manufacturing company Honda. The car includes R17 Alloy wheels, electric sunroof. It gives options for 1.8 L petrol engine with CVT and 1.6 L Turbo diesel engine with 6-Speed MT. It has ivory leather seats. It also includes a remote engine start. The company increases safety by installing 6 airbags and assistance by Vehicle Stability Assist (VSA) and Agile Handling Assist (AHA). It gives a gas mileage range of 42 mpg range. The Elantra is a car by South Korean multinational car manufacturing company Hyundai. The Hyundai Elantra has an inline 4-cylinder. It has a fuel tank capacity of 14.0 gallons. It has the horsepower of 147 hp at 6200 rpm and a torque of 132 lb-ft at 4500 rpm. It has a Multi-Point Fuel Injection fuel system. It has the gas mileage of 32 mpg in the city and 40 mpg on the highway. The Yaris is a car by Toyota Motor Corporation based in the Toyota city of Japan. The Toyota Yaris comes with the in-segment 7 SRS airbags which include the driver + passenger units, side, curtain bags, and knee airbag. It includes 4-disc brakes – front and rear. It also includes the Vehicle Stability Control (VSA) and Hill Start Assist Control. It is standardised with Antilock Braking System (ABS), EBD and BA. The Toyota Yaris has an inline 4-cylinder engine and a displacement of 1,496 cc. It has an electronic fuel injection (EFI) fuel system. The gasoline is used as fuel. The car has a maximum power of 79 kW at 6000 rpm and a maximum torque of 140 Nm at 4200rpm. It has 6-speed manual gears. This car is manufactured by the Japanese company Nissan. It has a 1.6 L DOHC 16- valve 4-cylinder engine. It produces the power of 109 kW at 6,000 rpm and torque of 107 lb-ft at 4,400 rpm. The car is installed with Antilocking Braking System (ABS) and Electronic Brake Distribution Force (EBD). It has city gas mileage of 31 mpg and highway gas mileage of 39 mpg. It has the horsepower of 109 hp. The Ford Focus is a compact car manufactured by the Ford Motor Company based in Michigan, Detroit, United States. It has an 8 or 6 – speed automatic transmission system. It is a front engine, four-wheeled drive. It provides 30 mpg gas mileage in town and as much as 40 mpg gas mileage on the highway. 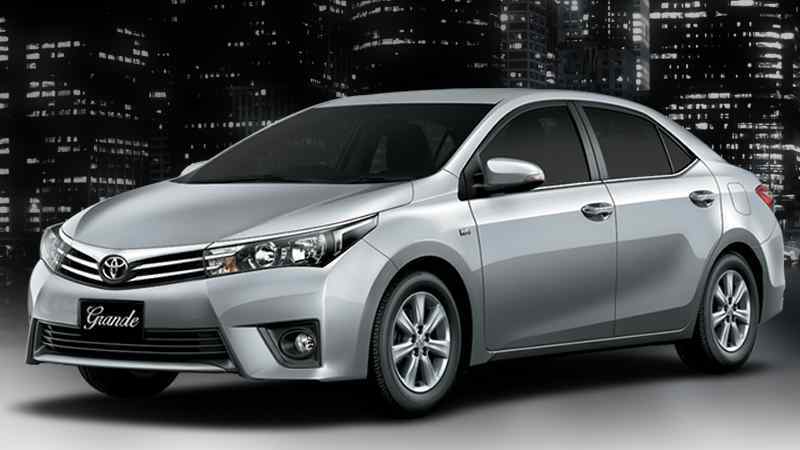 The the Toyota Corolla is a car by the Toyota company based in the Toyota city of Japan. It has a 6-speed manual type of gear. It has an inline 4-cylinder engine with 1,798 ccs of displacement. It produces a maximum output of 103 kW at 6,400 rpm. It produces a torque of 173 Nm at 4000 rpm. It includes Vehicle Stability Control and Hill Start Assist Control. It is standardised with ABS and EBD brake systems. The Toyota Camry is a hybrid electric vehicle by Japanese multinational Toyota. It has a fuel tank capacity of 50 L and is a 5- seater car. It has a 4-cylinder gasoline hybrid engine and has a displacement of 2,487 cm2. It has a total output of 131 kW at 5,700 rpm and maximum torque of 221 Nm at 3,600-5,200 rpm. It has 9 SRS airbags including driver + passengers, front side, a rear side, curtain shield, driver’s knee. It has a 245 V nickel – metal hydride type of battery. The fuel and self-charging electric engines work together to increase the efficiency of the car. It gives gas mileage of 41 mpg on the highway and 29 mpg in town. Chevrolet Spark is a city car produced by Korean General Motors company (or GM company). The car is a front engine 4 wheeled drive. It has a 1.4 L, 1,399 cc engine. It produces a torque of 94 lb-ft and a maximum output power of 73 kW. It has a 5 – speed manual transmission. It has a gas mileage of 38 mpg on an open road and about 30 mpg in town. These are the 10 most fuel efficient cars of 2019. Do post your comments.